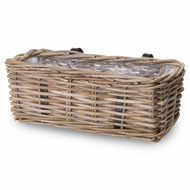 There are many uses for a Set of 3 Round Wicker Storage Baskets. 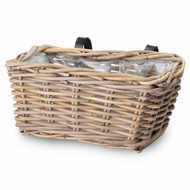 They are very practical for use around the home or office. 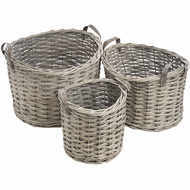 The set includes one each of small, medium, and large light brown wicker baskets that are sturdy enough for long-term use. Great for keeping linen, out-of-season clothing, or miscellaneous items in one place, the set boasts durable craftsmanship that makes it functional and decorative.